MLS# 14021294 - Built by Ashton Woods Homes - Ready now! 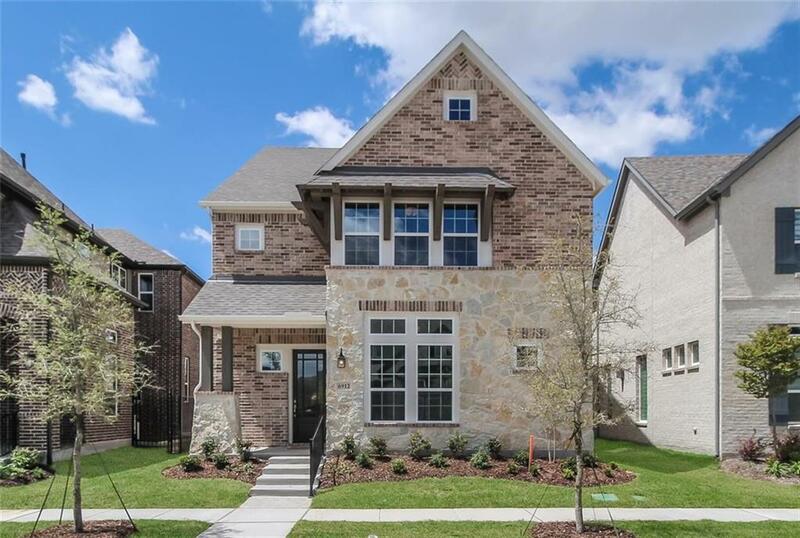 ~ Ashton Woods Home only 8 minutes to Legacy West in Frisco ISD. Brick & stone exterior with cedar pillars & window accents. Gorgeous mahogany front door with glass inset. Hardwood flooring flows from foyer throughout main floor. Formal study at the front of the home. Beautiful family room Coronado stone fireplace. Upscale kitchen has an apron sink, Quartz countertops, brushed nickel hardware and pot-pan drawers. Walk-in storage pantry. Nook with built-in desk just before master suite. Master bath complete with a freestanding tub, double vanity, shower & walk-in closet. All secondary rooms upstairs off game & media room. 2-car garage..